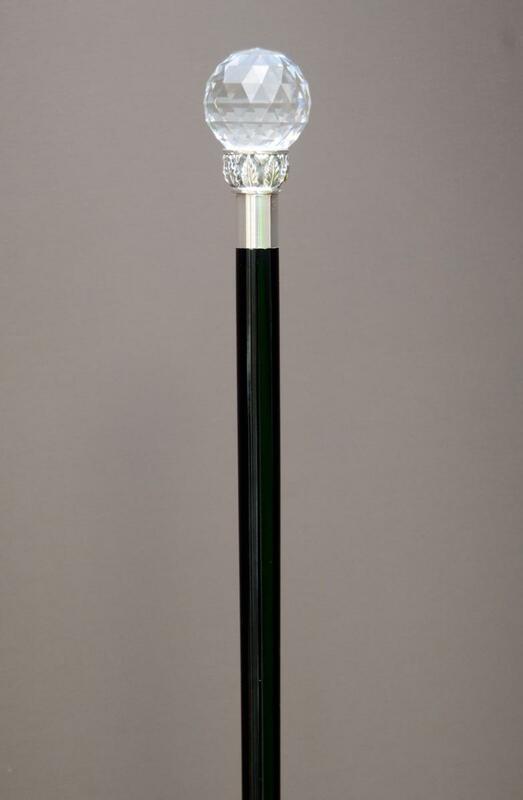 A very dramatic, very impressive formal cane suitable for use as an accessory at balls, weddings and other glamorous occasions, or as a special piece within a collection of walking sticks. 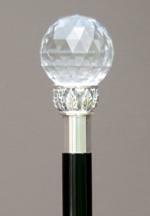 The handle is made from a very large, multi-faceted Swarovski Elements crystal, designed to reflect the light in many directions. The collar features an attractive border of leaves. The black hardwood shaft is elegantly tapered and is fitted with a neat brass ferrule. Please note, this is a collector's cane and is not suitable for heavy or orthopaedic support. 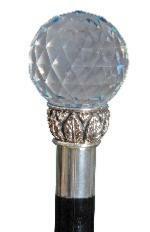 It is also important to take care not to drop the cane as the crystal could easily be damaged.